Having a poor grip on your handgun can make your gun feel more like a stick of butter than the reliable instrument of self-defense that it is. A superior grip can keep you focused on your target rather than your hand position and make you “one with your gun.” Thankfully, the Glock factory grip is good, but there are better. In this article, we’ll examine the types of grips available and why each might be an ideal match for you, as well as round up the top picks on the market. ​Named for the granular texture of their surface, granulate grips can feel like sandpaper. While many users do find this uncomfortable and it can snag on your clothing, it provides an exceptional grip. For these reasons, it’s best for holstering, but not concealed carry as it will catch on clothes or the concealed holster itself. Because of its superior grip texture, it is a go-to choice when competitive shooting. ​Far more comfortable than rough granulate grips and featuring a smooth texture that won’t snag on clothes, rubber grips are a much better option for concealed carry. While the hold is not as good as a granulate grip, it nonetheless provides a solid hold. For these reasons, it is the most popular type of grip and what most gun owners are familiar with. Many grips are designed to do just that: be grips. Contrast these to multi-functional grips, which introduce new features in addition to texture. ​Some grips offer not only an improved texture for holding your handgun but add extra features. 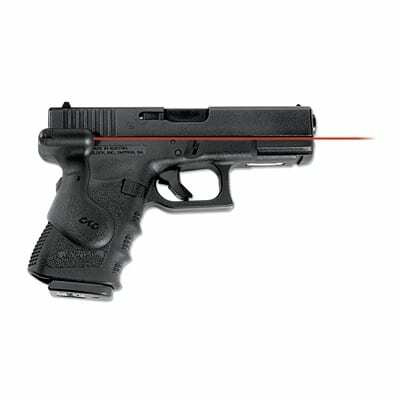 For example, the first product on our list from Crimson Trace offers laser-equipped grips. ​If so, granulate grips are hands-down the best option. If you’re not used to them, they may take a lot of getting used to and will feel uncomfortable for a while, but you simply cannot beat the superior hold you’ll get with granulate grips, and they will make a difference in your results. ​If so, granulate grips aren’t out of the question, but they are likely to snag on your clothes or the holster itself. For this reason, they are less practical. However, they will nonetheless provide a solid hold. If you holster carry, it’s easier to get away with granulate grips, which means it will really come down to personal preference. ​If your hands sweat a lot, granulate grips are a better option, as the surface provides excellent traction no matter how slick your hands. Keep in mind that while you can always swap grips back out, they’re not always the cheapest component. It might be a great idea to find someone in your gun-shooting circle that has granulate grips if you’re not used to them so that you can get an idea of what you’re getting yourself into first. Now that you know what types of grips are available and the main features of each type, you should have a fair idea of what to look for. Let’s take a look at the best Glock grips of the year, bearing in mind that your individual tastes and moreover, how you carry, will dictate which appeals to you. If you’d like more than just an improved grip, the Crimson Trace Glock Gen3 Compact Rear Activation Lasergrips add a laser sight to your grips which beam out from the upper rear of the grip. As for the grip itself, it is a fairly standard rubber grip, with an ergonomic design that not only makes it more comfortable to hold for the average shooter, but also enhances the security of your hold. The grip accommodates both left and right-handed individuals, as the button to activate the laser sight is on the rear and can activate with either hand. These grips have won a number of awards, including two Golden Bullseyes from the National Rifle Association as well as a High-Tech Product of the Year Award from the Firearms Industry Academy of Excellence. Incidentally, no other laser sight has won so many awards, which is quite an accomplishment for grips. As they are rubber and the laser shoots from the rear of the gun, these grips will work perfectly fine with your existing holster. You should be advised that you will need to remember to change your batteries, which is best done by marking a calendar so that you don’t forget. They are best suited for those who have a difficult time seeing traditional sights, such as those with poor eyes. Overall, if you’re considering improving your standard grip but have also been tempted to purchase a laser sight, these grips from Crimson Trace Corporation are an obvious choice. If you’re only in the market for grips, it may be more difficult to justify the added expense. Featuring an ergonomic design and award-winning laser sights, the Crimson Trace Glock Gen 3 Rear Activation Lasergrips provide more than just an upgrade to texture. The Brooks Tactical Systems Semi-Auto Agrip is designed to wrap around any Glock frame. It is pre-cut and secures easily and dutifully with a very strong adhesive that’s completely waterproof. The grip is secure and comfortable, without slippage or abrasion, and has a soft feel that isn’t tacky. It is also incredibly durable and resistant to tears or cutting. It doesn’t attract dirt easily and its surface does not diminish over time. Its texture and traction do not change when exposed to sweat or foul weather. Despite being cut-resistant, it is possible to shape it according to your needs with the use of a sharp X-Acto knife. This is useful for those who have aftermarket mag releases, for example. It is an ideal addition to polymer grips, as it provides better handling and control than a solid polymer without the grit of a granulate grip. Don’t expect it to operate like a granulate grip, as it’s closer to a happy medium, but will provide better traction than any polymer. The downside is that you will need to apply it yourself, which can be difficult. With the super-strong adhesive, it’s easy to make a mistake and ruin the wrap if you’re not careful, so be very attentive while applying. For those who can’t make up their mind between a granulate grip and a polymer grip, Brooks Tactical Systems has made an excellent adhesive wrap that finds a happy medium that works well in any conditions. May Require Some Trimming Before the Fit is Perfect. A simple, contoured grip that provides greatly improved ergonomics, the Hogue Semi-Auto Handall Grip focuses heavily on providing support. Most notably, there are proportioned grooves to fit each of your fingers, as well as an ambidextrous palm swell. It is worth noting that very few grips provide a palm swell, with this being a rare exception. This will improve your hold right away, better positioning the muscles in your hands and fingers to fine-tune control. It is made from rubber, which is soft and helps to absorb recoil. Thus, you should also enjoy enhanced recovery time between shots. The soft rubber is also highly comfortable and likely the most comfortable grip on our list. This rubber also makes it a great choice for concealed carry, as it keeps your Glock snag-free, is compatible with any holster, and it will not catch on the material of your holster or clothes. It is very easy to mount, with no hassle and instant improvement. What’s particularly great about the Hogue Semi-Automatic Handall Grip is that it is priced at an absolute steal. There’s absolutely no reason not to get these grips to see if they make a difference for you, especially if you’re on the fence about upgrading your grip. Out of the box, it may require some trimming depending on your Glock model. However, that’s easy to do, as the material is easy to cut despite being otherwise highly durable. For those who like the feel of a polymer grip but prefer a more ergonomic fit, the Hogue Semi-Auto Handall Grip provides an even better surface area but adds recoil absorption and finger contours. If you’re looking for a simple addition to your Glock that won’t break the bank but will improve your hold, the Talon Grips For Glock have you covered. Very competitively priced, these rubber grips nonetheless offer good value. The rubber texture ensures that you’ll be able to concealed carry just fine, as the material will not snag on clothes or other materials. It also resists sweat and other moisture. While not as durable as other entrants to our list, it should last a long time without a lot of wear and is affordable enough to easily replace. The design uses a bevy of contoured lines, bumps, and ridges to provide not only excellent texture, but the texture that you can feel is unique against different areas of your hand. The reason that this is a benefit is that you will develop muscle memory of the proper positioning to hold your Glock and it becomes another feedback sensation that improves your hold and speed. Additionally, the use of a soft rubber helps to reduce felt recoil, which improves between-shot recovery speed. Its design fits many Glock models and many users have reported great success in applying it to other handguns. One useful tip is to use a hair dryer or other moderate heat source to mold the grip tightly and trim it with an X-Acto knife. Overall, it’s an excellent and affordable solution for those who want improved traction on their Glock without spending a lot of money. As it’s easily replaceable, it’s a great first step into the world of custom grips. 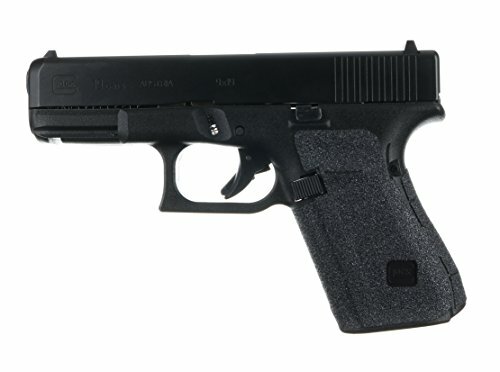 For those who would like improved traction in the form of an easily-replaceable grip, the Talon Grips for Glock provide an excellently-designed surface area in a highly affordable product. Talon Grips are designed for everyone, offering the option of either granulate or rubber textures. 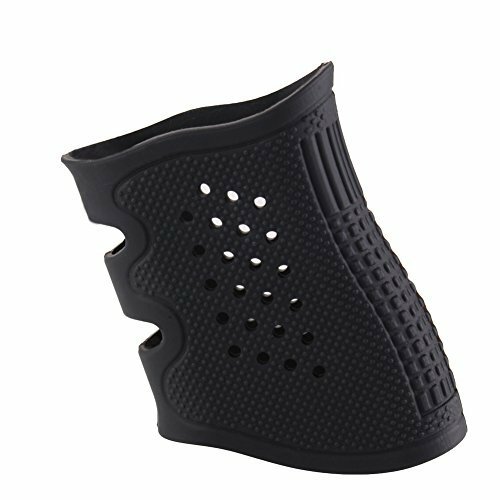 You’ll receive full coverage both on the side panels as well as above the thumb rest and the backstrap. 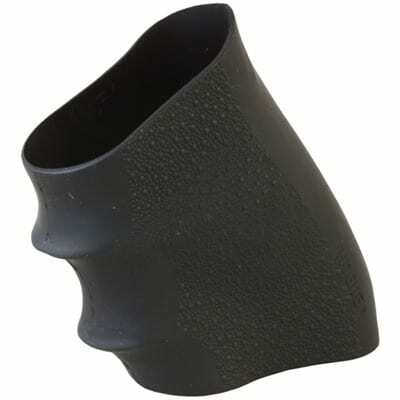 There are three separate finger wraps with finger grooves, which greatly improve the ergonomics of the hold. Below the trigger guard, there is complete coverage going from the guard down to the magwell bottom. It is a durable, single-piece design that is available for many models, including Gen 1-3. The Gen 4 design with a large backstrap, medium backstrap, or no backstrap is offered. Likewise, a Gen 5 with a large backstrap, medium backstrap, or no backstrap is available. All are available in rubber and granulate traction varieties. Additionally, the granulate is available in black and the rubber texture is available in both black and green moss. It is a simple wrap design that is easy to install, and custom-fit for your model. This ensures that there is no need to tweak the fit with cutting or other tricks. 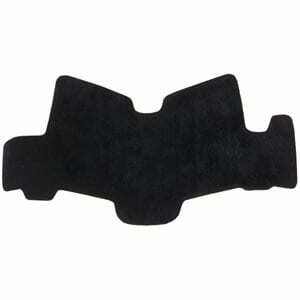 It is simply precision-shaped for your specific model of Glock, which may be either the 19, 23, 25, 32, or 38. Additionally, utilizing a wrap design ensures you do not void the manufacturer warranty from Glock. The grit of the granulate is more comfortable than many other granulate designs on the market, providing a softer feel but the same “catch” that you get against your hand. The rubber is fairly par for the course and it’s really the ergonomics that shine, as well as the wide coverage you get. Overall, if you want a no-hassle upgrade that doesn’t require adjustments, the Talon Grips provide a great opportunity to vastly improve your grip. Nothing makes you “one with your gun” quite like the hold you have on it, and an aftermarket grip can provide superior hold and improve your form as well as accuracy. Use our guide to determine what grip is best for you, whether you concealed carry or shoot competitively, and shop from our round up of the best Glock grips. Enjoy a vastly improved hold and shooting experience!